Yesterday was a sad day in the life of my car ownership… I just sold the best car that I will ever own (previously of My Car and I went Diving fame). Car ownership and cruising don’t exactly go hand in hand, do they? Let me say that I like cars. I like driving, I like racing (not NASCAR, that doesn’t make sense to me), etc… I had a Saab 9-3 Aero with a 6 speed manual transmission. The engine was V6 Turbo Charged. That’s 276 screaming horse power in a sedan. I actually never lost a race, even against BMWs, Mercedes, Porches, Corvettes, and other less worthy challengers. It just wasn’t to be, however. Finance guru Michele figured out that we could save an additional $13,000 before our cast off if we traded my car for a cheaper one that we paid cash for. That $13,000 is around a year’s worth of expenses while cruising. Needless to say a year cruising the ocean beats a year cruising my 9-3 Aero to work any day… but it was still hard to drive off the lot leaving it behind. It is one thing to know and understand that following our dreams will require us to get rid of pretty much everything we own, but its another thing altogether to put those words into action. It’s bittersweet. I feel awesome that Michele was able to figure out how to save an additional year’s worth of expenses without needing to wait any longer before we cast off. We now have one major To-Do List item checked off: pay off one of our car loans. 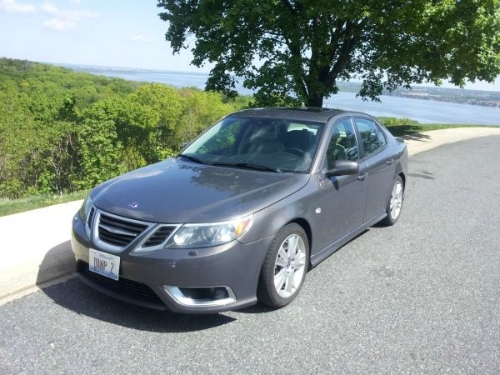 We plan on doing the same with our other Saab 9-3 (yes, we used to own two…) in the future, but paying cash for our new GMC Jimmy kind of knocked our savings down temporarily. 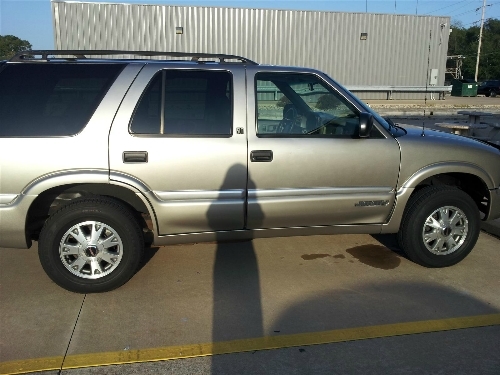 We will probably get nearly all of what we paid for the GMC back when we sell it, but we don’t have the cash to buy another car immediately. One car payment down, one to go, and a future to look forward to. Follow your dreams. Follow the Horizon. Yea that freaked me out… I thought great, I traded my sweet car for one that isn’t going to start tomorrow. Fortunately it was just water from the AC. 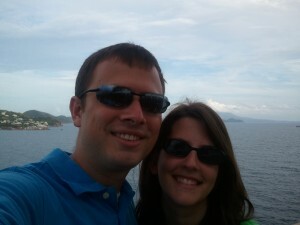 I found your blog through NaBloPoMo and I am so glad I did! The lifestyle you are seeking is so inspiring! Great posts. I’m excited to follow you guys on your journey. @stinkR36 Thanks for the kind words! At first we weren’t sure NaBloPoMo was for us, but we’re glad we decided to give it a try.